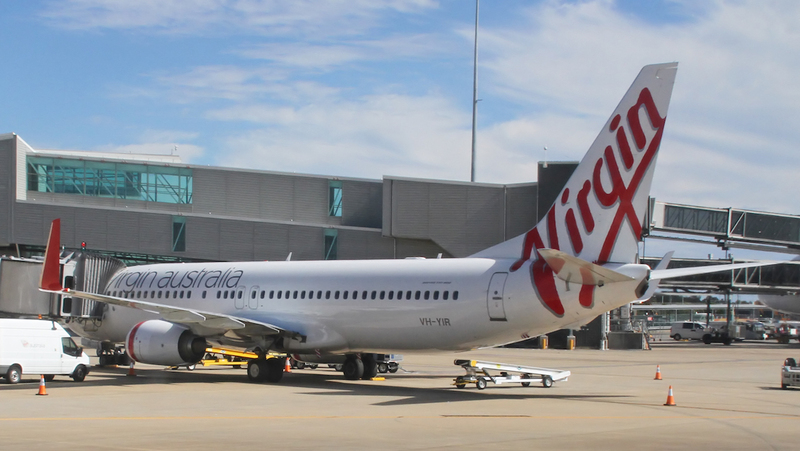 Virgin Australia says it will transfer its nonstop service between Brisbane and Port Moresby to Alliance Airlines in order to free up a Boeing 737-800 for its trans-Tasman network. 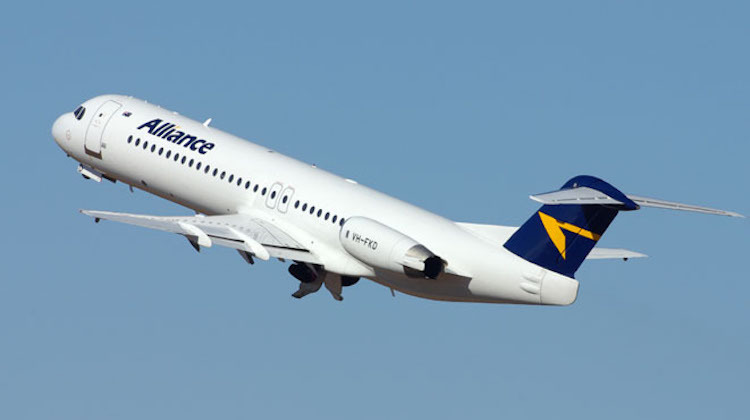 From February 25 2019, Alliance Airlines will fly the Brisbane-Port Moresby route five times a week with Fokker 100 equipment under a wet lease agreement with Virgin Australia, which will add its VA airline code on the service. The schedule is similar to what Virgin Australia currently offers on the route. “Virgin Australia is committed to the Papua New Guinea market and will continue to offer five return services per week, as operated by Alliance Airlines,” the airline said in a statement. Alliance Airlines’ Fokker 100s have 100 seats pitched at 33 inches in a single-class configuration, according to its website. By contrast, Virgin Australia’s Boeing 737-800s have 168 seats in economy class and eight in business class for a total of 176. Virgin Australia has expanded its operations between Australia and New Zealand since October 2018, when its seven-year alliance with Air New Zealand on the trans-Tasman market ended. It started new routes such as Newcastle-Auckland, added frequencies on its existing trans-Tasman routes and boosted its on-board product offering with a meal and checked baggage included in every ticket. Virgin Australia is one of three airlines offering nonstop flights between Australia and Papua New Guinea alongside Qantas (Brisbane-Port Moresby) and Air Niugini, which serves Brisbane, Cairns and Sydney from its Port Moresby hub. 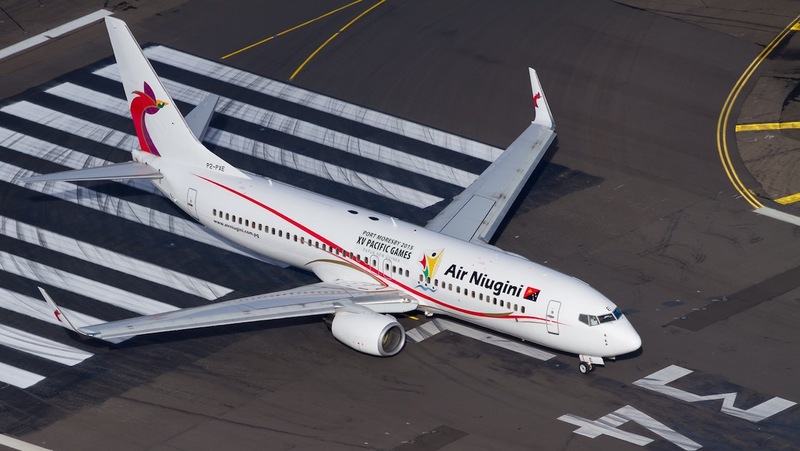 Air Niugini also previously flew from Port Moresby to Townsville. However, it ended those flights in October 2018. The Australia-Papua New Guinea market has been a challenging one in terms of passenger numbers. Figures from the Bureau of Infrastructure, Transport and Regional Economics (BITRE) showed Virgin Australia had an average load factor of 35.2 per cent on its flights from Port Moresby to Brisbane for the 12 months to June 30 2018, with the figure 36.3 per cent for the Brisbane-Port Moresby leg. Qantas’s load factor on the route over the same period was 65 per cent inbound and 57.1 per cent outbound. Meanwhile, Air Niugini’s services to Australia recorded load factors of 52.8 per cent, while its flights out of Australia were 52.6 per cent full. Air Niugini and Qantas had previously codeshared on each other’s flights on the Brisbane and Sydney to Port Moresby routes. However, in 2018 Australia’s International Air Services Commission (IASC) knocked back Qantas’s application to continue the codesharing arrangements as it would not be of benefit to the public. Virgin Australia had previously told the IASC the proposed codeshare was the “single most significant barrier to entry on the PNG route”. The flights to Port Moresby represent an expansion of Alliance Airlines’ wet-lease flying on behalf of Virgin Australia. In July 2017, Alliance Airlines started regular public transport (RPT) services from Brisbane to regional ports Bundaberg, Gladstone and Port Macquarie that are sold as Virgin Australia codeshare services. The flights operate out of the Virgin Australia terminal at Brisbane Airport, with passengers checking in at the Virgin Australia counters. Web and mobile checkin are offered on all Alliance Airlines flights. Although operated by Alliance Airlines, effectively all ticket sales for the flights come through Virgin Australia website and global distribution systems (GDS). An airline that has lost money for 7-8 years consistently, has bought a regional airline, retired its regional aircraft and is now paying another operator to fly regional and now, this, regional international, routes. When does the axe fall and the current management of VA get booted out the door instead of being consistently paid bonuses for absolutely nothing that advances this business. In today’s business world, how incompetent do people have to be to get the don’t come Monday notice??? I’m not surprised Virgin have done this. With a load factor of 35%, it is expensive to operate for the return. Assuming the number of people choosing Virgin stay the same, the load factor would change to around 60%. The route would thus probably be profitable. But of course the F100 is a single class so no chance for business class revenue and so it will be interesting to see load factor stats in the future. I would suggest that if the route remains unprofitable, they will withdraw. @Baxter, if Virgin used its own F100, they would probably have to set up a small crew base to operate it. Virgin is the best gift Alliance could ever have hoped for! I’m still quite amazed at the thought of a F70 or F100 flying into Bundaberg daily. No offence to the locals and the city of Bundy. When I was learning to fly out of Archerfield, Bundy was a regular stopping place on cross country trips or a random day out. On a busy day you might be talking with the 15 seat Sunstate Bandierante to ensure separation, on a quiet day it might have been the Sunstate Nomad. From memory, on either Saturday or Sunday, the Shorts 360 from Gladstone would do a stop at Bundy to pick up a couple of passengers for Brisbane. I really have to wonder whether some of the regional routes could honestly do with a new version of a Shorts 360 or even a Bandit, pressurised and a little less noisy, but still 15 or 20 seats, speedy but efficient. And more roomy than a Metro (as much as I love them). So many thinner but perhaps viable routes could be opened up – Brisbane to Bundy, Essendon to Griffith, Brisbane to Maryborough, Essendon to Mildura. Routes that are not quite Saab 340 size, but bigger (and demanding more comfort) than a Cessna 404 size.